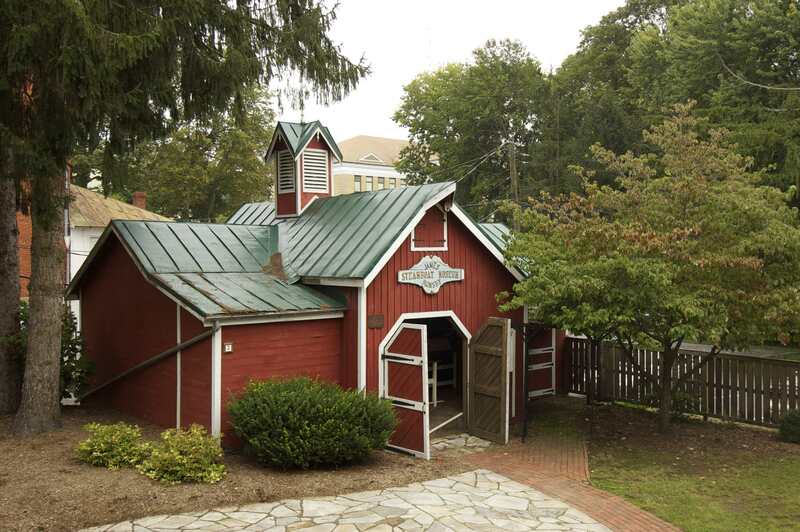 After the Rumseian Experiment was built in 1987, the James Rumsey Boathouse Museum was built to house it. 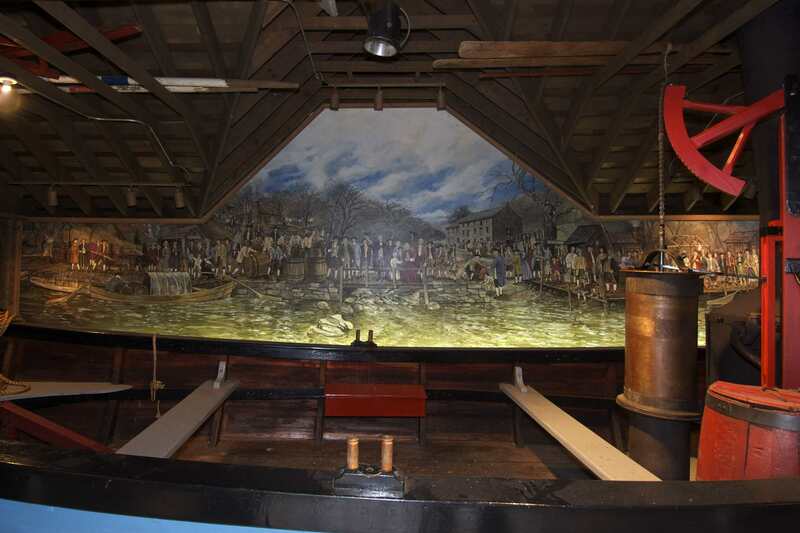 Besides the Rumseian Experiment , there is a large mural depicting the Shepherdstown bank of the Potomac on Dec 3rd, 1787( when Rumsey demonstrated his steamboat) and exhibits of Rumsey’s inventions and patents. The Boathouse is located behind the Shepherdstown Museum, at the corner of German and Princess Streets. It is open during the same hours as the Shepherdstown Museum ( April to October, 11-5 Saturdays and 1-4 Sundays ) and by special arrangement- please contact the Society. where he came into the story? He’s not one of the people who helped build the 1787 steamboat, if that’s your question.